Internet of Things (IoT) is slowly seeping into almost all industries. The glimpses of IoT began from the household and electronic industry which witnessed the power of IoT. Being able to switch on your AC even before you enter your house, scheduling routine maintenance of equipment without picking up your phone, etc. sound like a dream. IoT made this a reality. Now, with passing time different industries are trying to figure out ways to include IoT in their mundane work and create extraordinary experience for customers. Automotive industry, luxury brands have all joined the race to incorporate IoT and the healthcare industry is following the footsteps. There is practically a lot of limits to what is possible with IoT in healthcare industry. But, come to think of the technology that we are using nowadays, who would have thought that all this was possible. With that thought in mind, I feel that thinking about possibility limits our efforts. 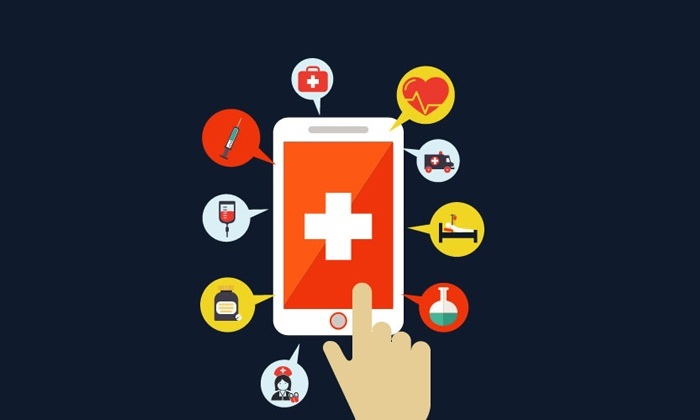 Let’s take a look at few successful uses of IoT in the healthcare industry. You would probably be aware of these devices through television commercials or maybe your doctor’s recommendation. Many health check-ups require us to visit a pathology lab or a doctor’s office. But, the progress made with wearable devices is making it easy for patients and doctors alike. There are smart devices that you can wear easily and track your heart rate, pulse, etc. and know when you need to see a doctor. These devices work on sensors that are an integral part of IoT. You can opt of a physical visit or a phone consultation with your doctor depending on the results. IoT is all about sensors and there are many unbelievable things that censors can be made to do. Most of us have experienced the touchless technology in sanitary industry where the water flows out from the tap without touching it and stops on its own. Similarly, hand dryers work on same technology. The same technology is being used for medication in patients. The right medicine dispenses automatically and if the patient misses a dose, a reminder is sent on phone or e-mail as requested. This has also enabled hospitals to use smart beds that can alert nurses in case a patient wants to get up or is having a trouble. Just like other technologies, the right research in the field is possible only when there are a lot of users. At present, the use of IoT in healthcare is quite limited and therefore not a lot of research is centered on improving healthcare experience with IoT. The need is to incorporate technology that makes life easy and also to make it affordable for everyone. IoT seems to be unstoppable and even though the use in healthcare industry is less at the moment, this will eventually rise. It would be interesting to see what new IoT has to offer and how it can actually make the lives of patients and doctors easier. If you have an idea that combines IoT with healthcare, share with us and enhance the quality of life. All the content shared in this post belongs to the author of ehr integration consulting company. The objective of writing this post is to focus more on technology for better healthcare systems.